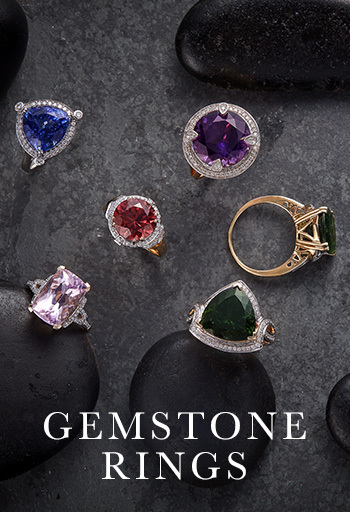 From origins to qualities, discover everything you need to know about the world of genuine gemstones. Ranging anywhere between five and fifty million years old, this delicate gemstone is available in a host of colours besides the most well-known Autumnal orange variety. Believed by ancient cultures to have protected against drunkenness, amethyst is one of our most popular gemstones and the birthstone for February. A beautiful, multi-coloured combination of citrine and amethyst, this highly unusual gemstone lends itself to bold, architectural designs. Its watery name perfectly represents its beautiful pale dichroic colouring. This gemstone is thought to bring harmony and clarity to all who wear it. 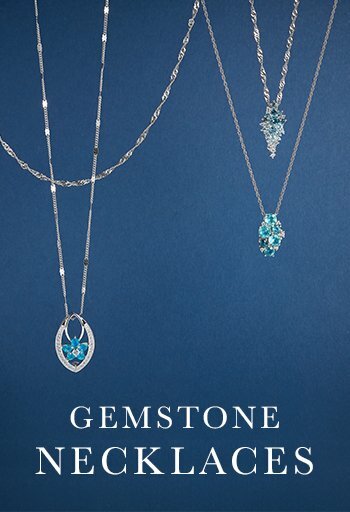 Famously adorned by the late Princess of Wales and now the Duchess of Cambridge, this inky blue precious stone is popular for its beauty as well as its status. There are many varieties of this vivid blue stone which hails from all over the world. Traditionally the birthstone for November, topaz is also the gift for 23rd wedding anniversaries. A member of the quartz family, this fiery coloured gemstone is thought to stimulate creativity and positivity in all who wear it. A striking green gemstone with a soft surface, it looks beautiful set in gold or silver. It’s easy to see why this striking yellow stone takes its name from the French ‘citron,’ meaning lemon. The most famous of all precious gems and universally acclaimed as girl’s best friend, this beautiful stone is the hardest substance on earth and comes in an array of stunning colours. 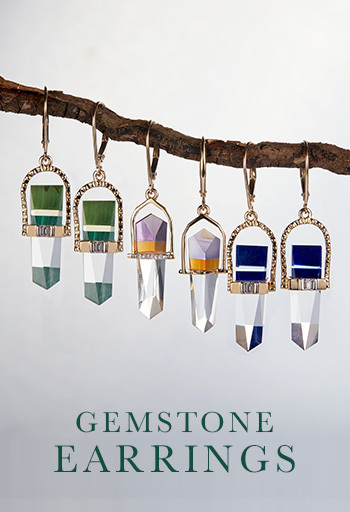 This unique gemstone is formed by tiny quartz crystals forming within other gemstones meaning it comes in an exciting array of colours and styles. A largely unknown, beautiful gemstone available in a host of colours. It was first discovered in Italy in 1913, now largely sourced from Canada and Brazil. This precious green gemstone is the beautiful birthstone for all born in May and is also thought to promote domestic bliss- it is used to mark the 20th and 55th wedding anniversaries. This rare, opaque gemstone from Brazil occurs in white with multi-coloured traces. The strawberry feldspar is a particularly unusual and attractive variation. Fire opal is a transparent to translucent opal, with warm body colours of yellow, orange, orange-yellow or red. It does not usually show any play of colour, although occasionally a stone will exhibit bright green flashes. A multi coloured gemstones with many different varieties, this soft stone makes a beautiful centrepiece for gemstone jewellery. Otherwise known as pyrite, this beautiful mineral has a similar appearance to gold leading many to believe they’ve unearthed the real deal when gold mining. Most commonly thought of as being red, garnet is actually available in every colour except blue and is the birthstone for all those with January birthdays. Goshenite is a colourless variety of beryl which is named after the place it was first discovered- Goshen, Massachusetts. Otherwise known as cinnamon stone because of its striking colouring, this gemstone is found in Sri Lanka, India, Brazil and California. Discovered in Nova Scotia by Chemist Henry How, howlite is a white gemstone with black veining running through it which creates striking patterns for gemstone jewellery. Imperial topaz is a pretty gemstone which occurs in a variety of citrus colours, ranging from yellows and greens through to browns and oranges. This inky blue gemstone is actually dichroic, meaning it displays many different colours depending on the light that it is in. Jade is a beautiful sea green coloured stone thought to have a positive effect on all matters of the heart. 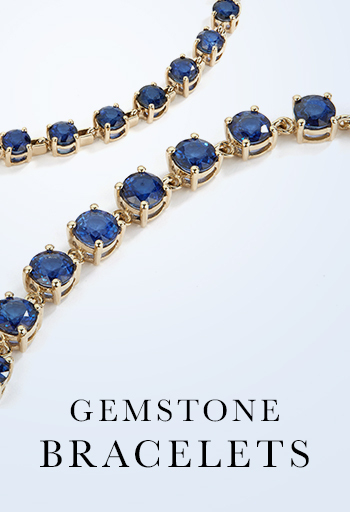 An underused birthstone for March, this gemstone is opaque and occurs in blue, green, yellow, orange and red. One of the finest blue sapphires known to man, Kanchanaburi sapphires have been sourced from one location close to Bangkok since their first discovery in 1918. A relative newcomer to the gemstone world, the first known occurrence is noted as happening in 1824. Kunzite is a rare pink or lilac coloured semi-precious stone found in a number of locations, including Brazil. Once known by some as the poor man’s sapphire, we think this gemstone is set to become one of the most in demand over the next decade. An opaque gemstone with stormy grey colouring and inky blue flashes. 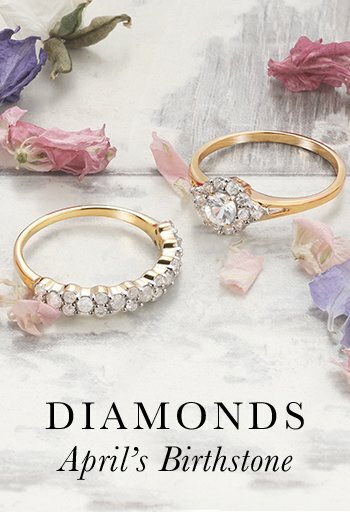 Looks beautiful set in gold or silver. Sometimes abbreviated to lapis, this deep blue semi-precious stone displays glittery traces. Larimar, also called "Stefilia's Stone", is a rare blue variety of pectolite found only in the Caribbean and is most commonly found in turquoise or white. A beautiful soft shade of yellow, lighter than citrine, this variety of quartz is stunning in sterling silver. This lilac grey, lavender coloured gemstone has a mohs hardness of 2.5-3, making it particularly deliacte and susceptible to scratches. A striking, slightly darker variation of common blue topaz. It is more navy in appearance. This marbled green gemstone is thought to have been around for over 10,000 years and looks as beautiful today as it ever did. Sometimes mistaken for gold or fool's gold with it's glittery appearance, marcasite is an attractive, sparkly gemstone particularly when set it sterling silver. Despite being formed 14 million years ago when a meteorite struck a valley in the Czech Republic, this dark green gemstone was only discovered in 1786. A marbled, opaque gemstone with ribbons of red, orange, yellow and white make this variety of jasper particularly appealing. 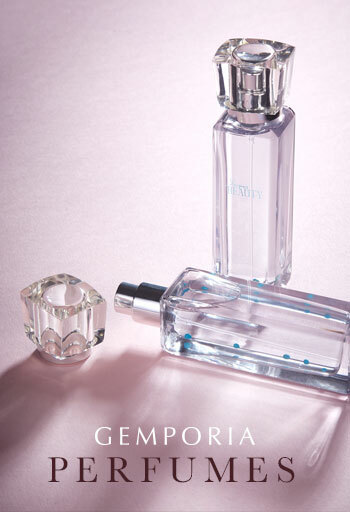 An unmistakable white gemstone with blue iridescence and masses of appeal. Particularly attractive when set in sterling silver, this is a gemstone of distinction. A feminine pink or peach gemstone, remarkably hardwearing given it's delicate colouring and sourced from Brazil. Marbled pearlescent white and cream ribbons with an iridescent glow make mother of pearl distinctive and unmistakable. A multicoloured gemstone which displays peacock like hues of purple, green and blue, perfectly echoing its mystic name. Osbidian is the most well-known variation of amorphous glass. It’s usually black, dark green or brown and is created from lava that has cooled too quickly to crystallise. A fashionable gemstone that is often desired in jet black. This totally opaque style is known as ‘black magic’ and was known for aiding the bravery of soldiers. Opal is a classically beautiful gemstone that has been adored for centuries. Known for its internal play of colour and fascinating opalescence. The name of this gemstone derives from the Greek for ‘straight fracture’ which refers to its striking structure. Also known as the peacock gem thanks to its intense bluish-green colour. It is one of the most sought after gemstones around. Pearl is arguably the most desired of the organic gemstones. They originate from grains of sand and how they become so beautiful is a fascinating development. Peridot is the hugely popular birthstone for August. It is one of the only gemstones around that exists in only one colour, a vivid Summery green. Pink sapphire is a relatively new gemstone that is making a serious impression. This pink hued gem is looking set to challenge diamond as an engagement option. Pink tourmaline has an electrifying colour and has in the past been mistaken for ruby. It’s said to empower women and is a delightfully feminine gemstone. Prasiolite is a muted green colour. It is a green variety of quartz and is essentially a heat treated amethyst. Rhodolite garnet is a highly refractive stunning gemstone that derives its name from the Greek words ‘rhod’ and ‘lithos’ meaning ‘rose stone’. A pretty, feminine stone with a powder pink hue. Rose quartz is a favoured variation of the abundant quartz family of minerals. The gemstone of love. Ruby is the sister gem of sapphire and shares many of its desirable qualities including a highly covetable reputation. Known for its mystic beauty and historic links to royalty, Sapphire has been set in many fine pieces of jewellery and is universally adored. Sardonyx is a reddish/brown variation of agate found primarily in the Sardonyx mountains of India and is surrounded by myths and folklore. The hugely popular, lightest variety of blue topaz. This gemstone has fantastic clarity and has striking presence. A sultry brown variation of quartz. Smokey quartz is said to instil peace and harmony as well as being the national gemstone of Scotland. Sodalite is a vivid opaque blue gemstone that is often used in jewellery and ornaments. Its hue is owed to the presence of sodium. A robust gemstone that has often been mistaken for ruby. Spinel is a favourite with gem collectors and dealers alike. Star sapphire is a variation of sapphire that features a star-like white surface pattern that is only visible to the eye after the cutting process. Sunstone has a gorgeous glittering appearance, known as aventurescence. It is often a reddish brown but also available in a green/yellow hue. Strikingly beautiful and a thousand times rarer than diamond, tanzanite is a geological phenomenon available from just a single location on earth. Known for its protective and courageous properties. Tiger’s eye is a golden yellow gemstone that gets its name from its likeness once cut in a cabochon fashion. The beautiful birthstone for November. Topaz has gorgeous brilliance and crystal clarity and is also surrounded by more folklore than any other gemstone. Tourmaline is a pleochroic gemstone. It is available in a spectrum of colours and is known for its Brazilian origins. A beautiful vivid green gemstone with a desirably high refractive index. Tsavorite is a radiant member of the garnet family of minerals. Turquoise gets its name simply from its Turkish origins. It is fully opaque and has long been considered a holy gemstone as well as the birthstone for December. Vesuvianite is a beautiful green hued metamorphic gemstone that originates from Mount Vesuvius in Italy. Yellow sapphire ranges from canary yellow to golden orange. It’s striking hue and brilliance means it is often compared to yellow diamond. Zoisite is the gem family in which tanzanite belongs, along with the opaque pink mineral thulite and the opaque green mineral anyolite.